PLEASE READ ALL POLICY PRIOR TO VISITING OUR LIBRARY OR SUBMITTING EMAIL QUERY. FAMILY DATA must be IN HARD COPY FORM WHEN RESEARCHING IN PERSON. NO PERSONAL DIGITAL DEVICES ALLOWED IN LIBRARY. LOCKERS ARE AVAILABLE FOR CELL PHONES, DIGITAL DEVICES, PURSES, BACK PACKS, ETC. Got dead people? Seeking their vital statistics, next of kin, and burial locations? There’s all that and MORE to be dug up and discovered within the historical archives of the Fillmore County History Center. Our genealogy library focuses on vital records relating to the earliest of Fillmore County’s dearly departed 1857-1944. Our vast collection includes obituaries and gravestone records. Our library features user-friendly resources that enable the family historian to conduct self-service genealogical research. Please take a moment to familiarize yourself with our records, date ranges, and policies before you submit a query or plan a visit. [SEE BELOW] A review of available records ensures easier research and faster results. You’ll find that coming armed with a specific wish list saves time. Take a seat at our public access laptop portals. At your fingertips you’ll find our own in-house digital indexes to vital records, obituaries, cemetery transcriptions— with additional indexes coming in the near future! We look forward to welcoming you to the charming little village of Fountain—or “Mayberry on the Prairie”, as I like to say. Come visit us! While you’re here get out on the back roads to see where your ancestors lived—and died. We can direct you to every cemetery in the county and many others in the greater area. Having been there, done that, we’d be delighted to guide you toward your own family history. For researchers unable to visit us in person, we happily provide documents through remote assistance. Please read through our policy and then contact us by email with research queries. We provide instant electronic delivery of documents upon receipt of PayPal payment or alternatively mail hard copies by post upon receipt of check or money order payment. Please be advised that we cannot return voice mail phone messages. Please call again during office hours or alternatively send us an email message. The library is closed Sunday and Monday. Thanks…and happy genealogical trails! CHECK OUT OUR NEW ONLINE INDEXES!!! MISSION The mission of the Emery & Almeda Eickhoff Genealogy Library of the Fillmore County History Center is to provide access to the Fillmore County Historical Society’s collection of genealogical materials. Over a period of decades, the historical society has carefully preserved and collected information and materials of interest to family historians and is committed to continuing these efforts in the interest of future researchers. GENERAL RESEARCH POLICY History Center staff assists patrons who visit the genealogy library for personal research purposes. Staff provides orientation to the library and its collection as well as the use of computers, copiers, and microform equipment. Due to staffing and time constraints, the primary focus of staff is to serve as patron advisor, answering ready reference questions, assisting in locating materials, and moderating the operation of equipment. Staff assists patrons in accessing and interpreting library information but does not conduct research for patrons or compile family histories. Since the library is organized to be self-service and accessible as an open collection, donations are requested above stated entrance fee for any extended staff assistance required. Library Entrance Fee: Up to 1 half-day self-service research: $5 per person plus photocopy fees Full 1 day self-service research: $10 per person plus photocopy fees Self-service Copy Fees: $0.50 per 8 ½” X 11” page off photocopy machine $1.00 per 8 ½” X 14” and 11” X 17” page off photocopy machine $1.00 per page off microform machines Library patrons will please sign in at the genealogy library guest register. No personal digital devices of any kind are allowed in the library, including cell phones. LOCKERS ARE PROVIDED FOR PATRON STORAGE OF PERSONAL ITEMS INCLUDING DIGITAL DEVICES, PURSES, BACKPACKS, ETC. Patrons are responsible for adhering to copyright restrictions and abiding by acceptable use policy or their privilege to access the library will be revoked. 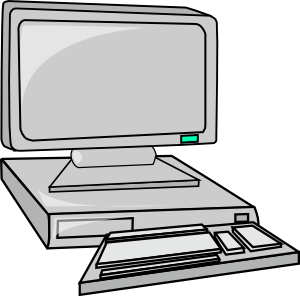 Microfilm machine and digital index use may be limited to 15-minute increments in order to serve all patrons. No food or drink is allowed in the library. Remote requests for research assistance may originate with a phone call, email or letter. In these instances, staff will provide quick lookups in our digital indexes (less than 15 minutes) at no charge. Requests that require in-depth research or completing a family tree will not be accepted. Electronic delivery in PDF or JPG format is available with PayPal payment. Transaction cost necessitates additional fee of $2.00 more per record. A $30 Return Check Fee may be assessed in the event of a returned check payment. NOTE: Once a return check has been received; all future payments will be required to be paid with cash or certified funds. Violation of the terms of this policy may result in forfeiture of the privilege to access and use materials in the research archives library collection. The following Fillmore County index databases are searchable on TWO public use terminals. 1915, 1928, 1947, 1950, 1961, 1962, 1966, 1970, 1974, 1979, 1980, 1981, 1983, 1984, 1988, 1989, 1990, 1991, 1992, 1993, 1994, 1995, 1996, 1997, 1998, 2003. Records available on five reels of microfilm. Comprehensive index listing the name of the deceased with reference of microfilmed newspaper in which obituary was published. Also available are obituary binders containing clipped newspaper obituaries. Copies of obituaries may be purchased in person at our facility or via email mail order. 1858 – 1944 available on microfilm. History of Fillmore County, Minnesota with an Outline of her Resources, Advantages, and the Inducments She Offers to Those Seeking Homes in the West. By J.W. Bishop, C.E. Holley & Brown Printers, Republican Office Chatfield, MN 1858 History of Fillmore County 1882 Including Explorers & Pioneers of Minnesota & the Sioux Massacre of 1862. By Rev. Edward D. Neill & Charles Bryan. History of Fillmore County, Vol I-II 1912 By Franklyn Curtiss-Wedge. Chicago, Ill. : H.C. Cooper, Jr. & Co. History of Fillmore County By Fillmore County Historical Society Members & Friends. Dallas, TX. 1984.